Do you have leftover candy at your house? 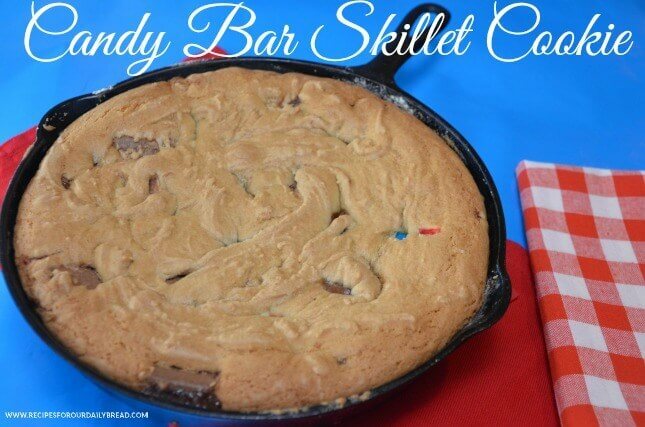 Use your candy to make this amazing Candy Bar Cookie Skillet Dessert. Hey Ya’ll, This is Diane Roark from Recipes for our Daily Bread. I am so thankful to be able to co-host today on Princess Pinky Girl. Jennifer always has lots of truly amazing, but simple to make recipes that I love. I enjoy cooking, but with five kids and most of them teenagers I have little time. 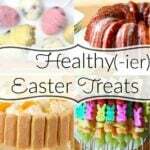 Recipes for our Daily Bread is all about giving you easy, delicious recipes. 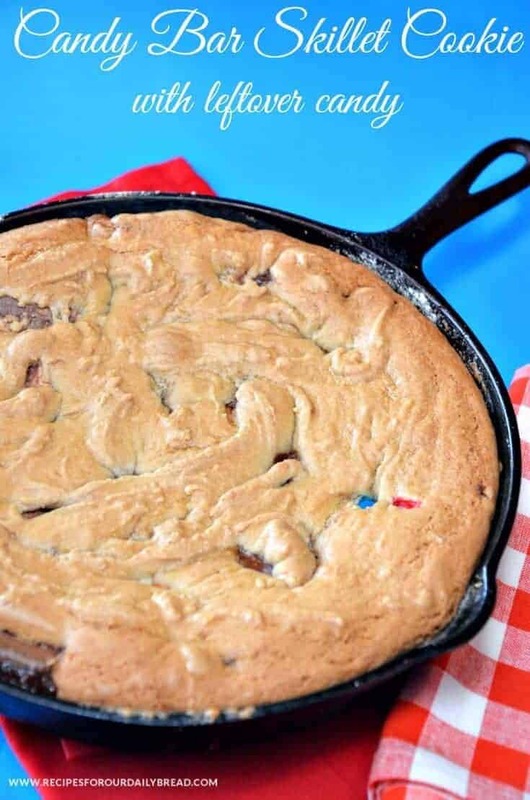 Your whole family will have fun making and eating this Candy Bar Skillet Cookie, and even the little ones can help by unwrapping candy. Skillet cookies are super easy to make because everything is mixed and then baked all within one skillet. It is a true “one skillet” recipe. Any chocolate or chocolate candy bars will work in this easy skillet cookie. Simply chop 3 cups of candy for this recipe into large pieces. This entire dessert is made directly in a large cast iron skillet or an oven proof skillet. You will melt the butter and sugar on the stove. Next, add all the other ingredients and bake. It is truly that simple and turns out over the top amazing each time. 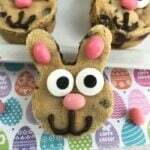 If you love chocolate chip cookies, but do not enjoy nor have the time to bake cookies this recipe is for you. Be careful, it is so easy it will be addicting. I have blogged about several different kinds of skillet cookies which all turned out extremely delicious. 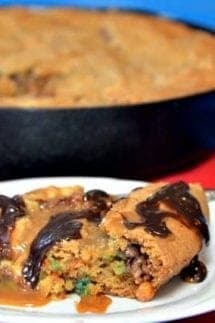 I could not wait to try making a skillet cookie with leftover candy I had around the house. It truly is a great way to use extra candy and make a wonderful dessert. While the cookie is still warm, I cut a piece and added some caramel and hot fudge. You could also add some ice cream. It turned out amazing! 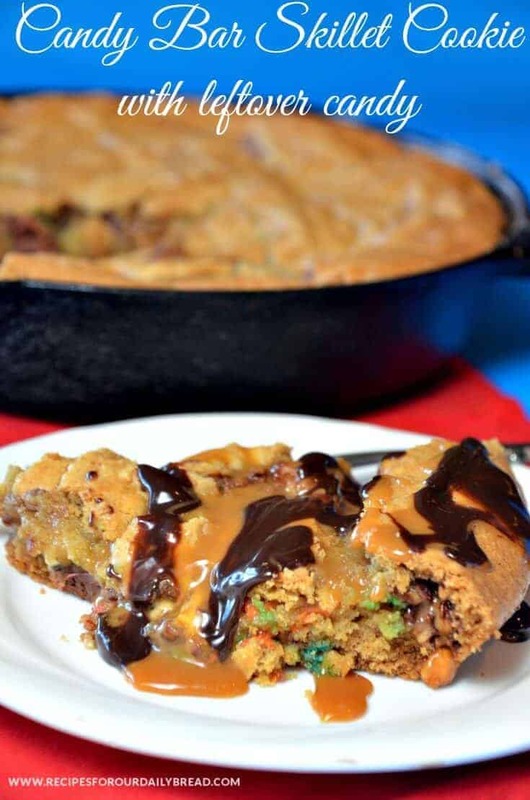 This Candy Bar Skillet Cookie is my new favorite cookie. Mix together the flour, baking soda and salt with a wisk. Stir in the flour mixture with the butter and sugar mixture. The batter will become thick. Stir in the chopped candy bars. The Best Winter Boots of the Season! Oh, my goodness, this is perfect, and just in time for all the different kinds of candy I have left from Halloween- thank you!! Mix it and bake it in a skillet- what could be easier? I’m doing it today- pinning!! If you have leftover candy bars or any chocolate candy, this is truly an easy and over the top yummy dessert. Thank you so much for stopping by Princess Pinky Girl and leaving a comment. Thank you so much for allowing me to share this skillet cookie today. I truly LOVE this cookie. It is really easy to make using only a skillet to mix it up and bake it. It is not only super easy to make, but amazing! I hope your reading try it. This is a perfect dessert for a family treat and to use your leftover candy. My family was so sad this skillet cookie was gone in one serving. The same day I made another version using just a bag of Rolos I had. It was amazing too. Would this recipe still come out right if I made it in a cake pan? I don’t have an oven-proof skillet.